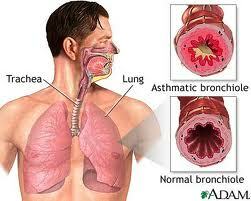 General purpose of this article paper is to analysis and discuss on three Warning Signs of an Asthma Attack. There’s no age for asthma, kids, teenagers and adults are affected by it. It is extremely difficult to generalize on the elements that generate a crisis because each one affected by asthma reacts to different elements within the atmosphere. The majority of asthma crisis are triggered by airborne debris that cause the lungs to close as a way not to allow the allergen to keep entering the bronchi.